Healthpointe, a multidisciplinary healthcare organization, used BirdEye to generate new patient reviews and transform their negative online reputation into a powerful driver of patient acquisition. 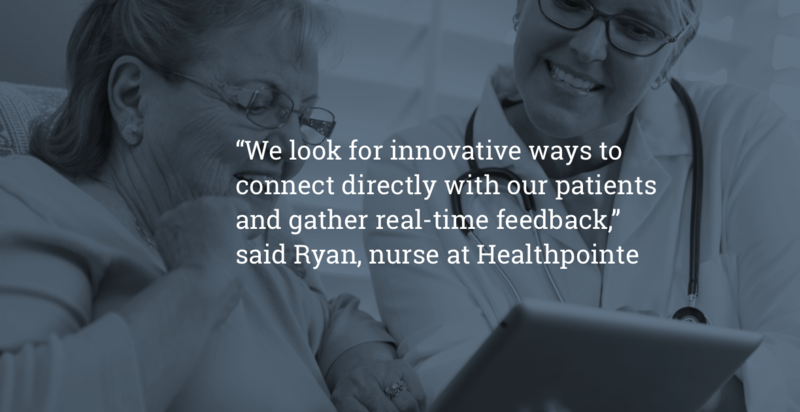 Low online ratings from a small fraction of Healthpointe’s patient base led to a poor online reputation that was steering patients away from Healthpointe. Additionally, a small percentage of unhappy patient reviews were ranking high on Google search, which did not reflect their general patient sentiment. Altogether, this impacted the overall brand perception negatively and hurt their ability to enroll new patients. As a result, Healthpointe’s marketing spend on Google ads and social media was not converting to enrollments — prospective patients were influenced by the negative reviews. With low ratings from reviews appearing high on Google search results, the objective was two-fold: first, bring the patient feedback in-house; and second, score higher search rank for the positive reviews on the Healthpointe website than the older negative reviews. With BirdEye technology, Healthpointe setup checkout kiosks onsite, using existing office computers. 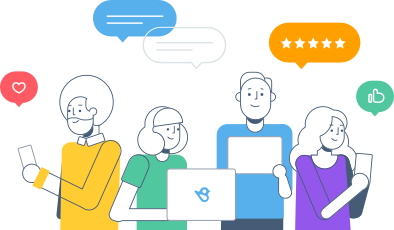 After every visit, patients left quick feedback on BirdEye platform and rated their experience on a 1 to 5 star scale, without having to provide too much personal information. BirdEye also aggregated Healthpointe’s reviews from all major review sites, and sent real-time alerts and reports to the management team to address issues in real-time. Furthermore, BirdEye enhanced the healthcare enterprise’s overall SEO dramatically by auto-distributing their reviews to 50+ influential consumer sites. 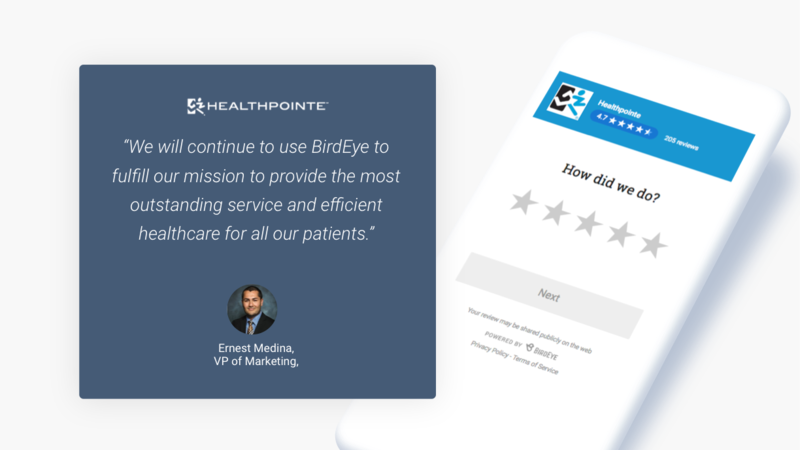 With BirdEye Enterprise Analytics & Insights, Healthpointe uncovered negative customer feedback centered on long wait times, which it moved swiftly to address — resulting in improved patient satisfaction.